First I want to thank everyone for participating in my first time ever giveaway of the spring time bracelet. There was a little confusion at first, but for never having a giveaway before I think all went well. I learned a few things that will help me in my next giveaway. 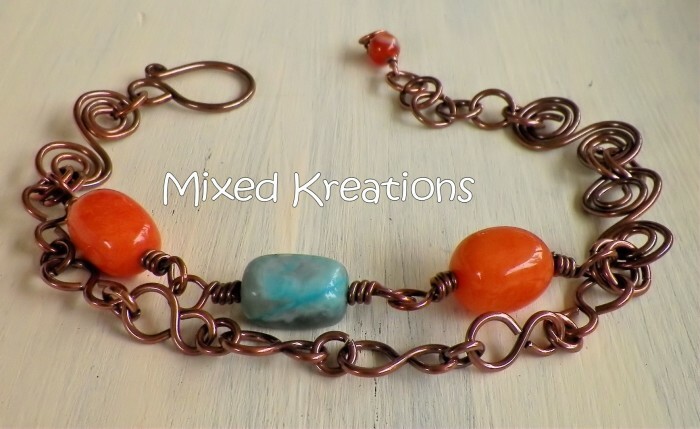 Now for the winner……Congratulations Laurie Emerson you won the lovely handcrafted copper bracelet. I hope you enjoy the bracelet as much as I enjoyed making it. Thanks again everyone. Watch for my next giveaway for your chance to win. In the meantime have a wonderful day. I would love to hear any tips that you might have on giving a giveaway.